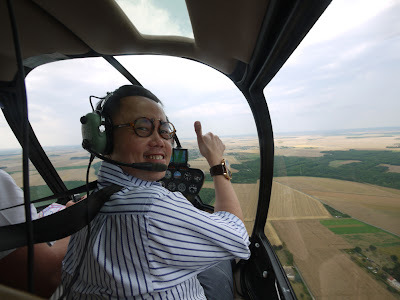 Bernard Cheong Doctor Watches Life: In France...I had alot of fun...from flying over the DDay beaches.. In France...I had alot of fun...from flying over the DDay beaches..
..to riding daily in a Rolls Phantom. But most of all..the above interview.